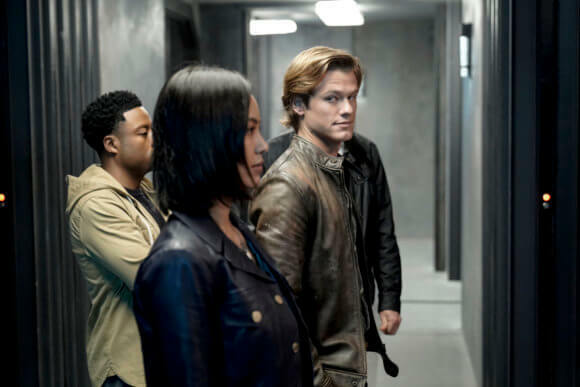 CBS’s MacGyver continues season three with episode 18 airing on Friday, April 5, 2019 when the network returns from two weeks of NCAA coverage. 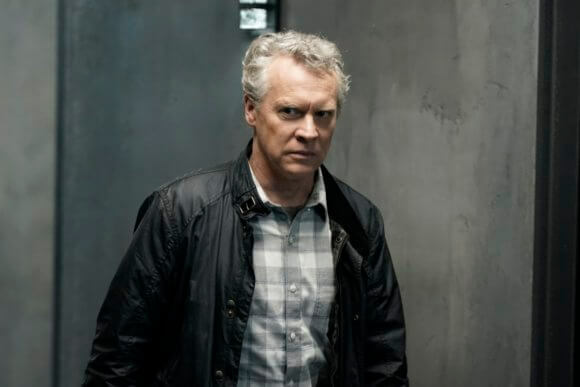 Episode 18, “Murdoc + Helman + Hit,” was directed by Roderick Davis from a script by executive producer/original MacGyver creator Lee David Zlotoff. Episode 18’s guest cast includes Erica Frene, Andre Reed, Haley Goldman, Drew Sheer, G-Rod, Brandon Rush, and Matthew Alan Brady. 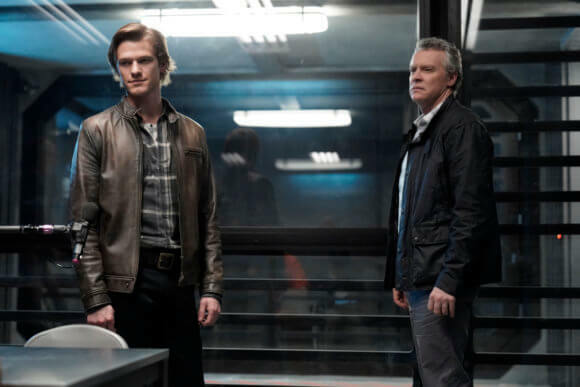 Season three’s cast is led by Lucas Till as Angus “Mac” MacGyver. George Eads plays Jack Dalton, Tristin Mays is Riley Davis, Justin Hires is Wilt Bozer, and Meredith Eaton plays Matty. 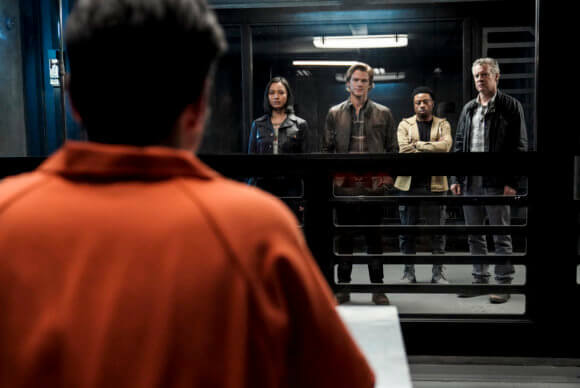 Recurring guest cast members include Levy Tran as Desi, Tate Donovan as Oversight, David Dastmalchian as Murdoc, and Michael Des Barres as Nicholas Helman. The “Murdoc + Helman + Hit” Plot – When Nicholas Helman (Des Barres) resurfaces to carry out a killing spree, the Phoenix is forced to get help from the one person who knows him best… his protégé, Murdoc. 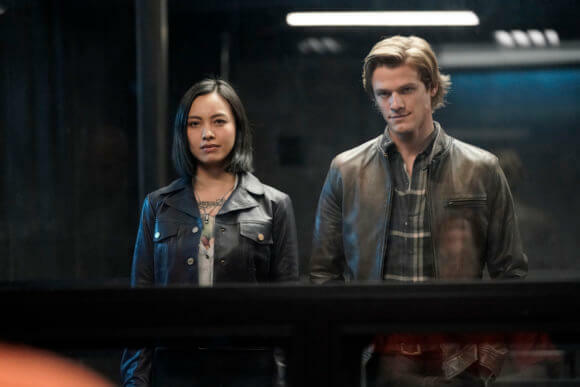 “MacGyver, a reimagining of the classic series, is an action-adventure drama about 20-something Angus “Mac” MacGyver, who creates a clandestine organization within the U.S. government, where he uses his extraordinary talent for unconventional problem-solving and his vast scientific knowledge to save lives. Joining his team on high-risk missions around the globe is maverick former CIA agent Jack Dalton; Riley Davis, an unpredictable computer hacker with a chip on her shoulder; Wilt Bozer, Mac’s roommate and the newest agent on the team; and Matty Weber, a legend in Covert Ops and the director of operations at the Phoenix Foundation.